Self-caterers and socialisers have plenty of options in Samoëns and Sixt. Supermarkets, open air markets, and baguettes and pastries from Tiffanie in the centre of Samoëns provide easy access to local produce, and caterers can deliver restaurant-quality breakfasts and dinners to the chalet circuit throughout the Grand Massif. Full catering packages (including breakfast, afternoon tea, and dinner with accompanying wine) are also available. 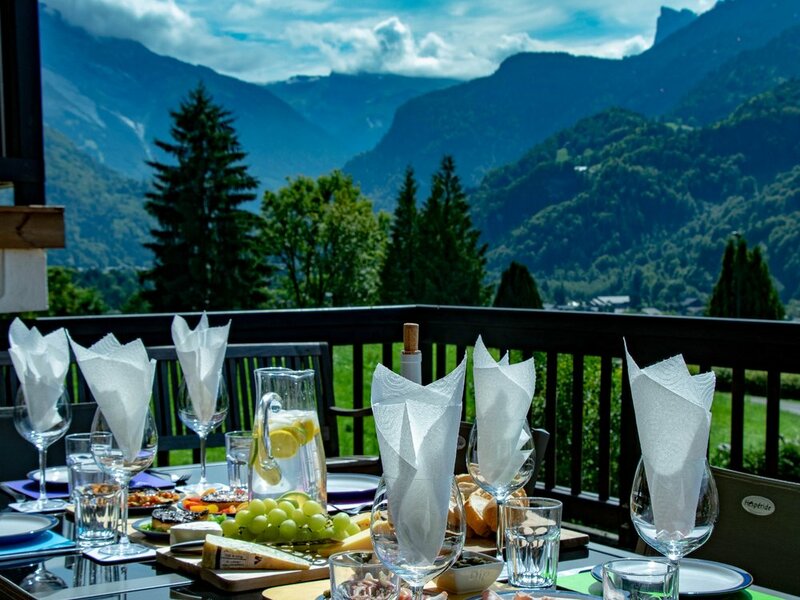 When it comes to dining out, residents at both The Lodge at Samoëns and The Lodges at Sixt are spoilt for choice. We are more than happy to recommend restaurants based on party size and taste, but our top picks are listed below. Le Blanchot, at Flaine. Serving unadorned mountain cuisine, Le Blanchot sits at the side of the Serpentine piste, and offers unfussy food with killer views of passing skiers and snowboarders. Ferme Auberge de Freterolles. Perched in the mountains outside of Samoëns (en route to Morzine), the team serve authentic Savoyard lunches made from produce sourced on their own farm. L’Aero at Vercland. Hidden from view at the top of the lift from Vercland, L’Aero is both a guest house and restaurant, serving up hearty home-cooked favourites in winter, and lighter lunches in summer. The Restaurant at Col de Joux Plane. Also up on high, this restaurant specialises in Savoyard cuisine, fondue, and panoramic views of the Grand Massif. La Jaysinia, at Samoëns. A joint tea and patisserie, owner Thierry Froissard serves designer pastries, hot chocolates, and vin chaud in the village centre. Restaurant Gautard, at Plateau des Glieres. Specialising in stews made from deer hunted locally, and other Savoyard dishes, this restaurant is open year-round.